Hi Doodlebug friends! Are you all ready for Christmas yet? I sure am!! 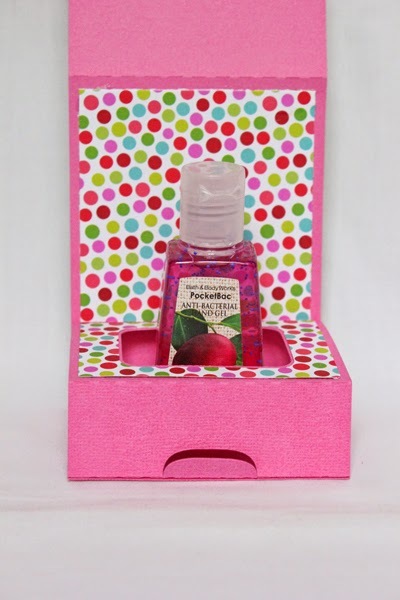 I got a jump on making some little hand sanitizer gift boxes for my sweet girl to give to a couple of her friends. 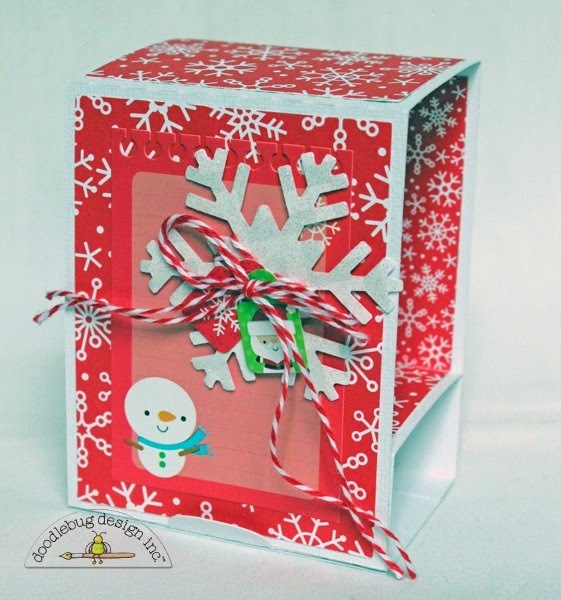 I found this hand sanitizer flip box cut file on Silhouette Studio but used all of my wonderful Santa Express papers and embellishments to dress them up. This first one is more girly and it's my fav! May have to keep this one for myself! Here's a peek inside when it is opened up. The cut file opening is too big for Bath and Body Works' hand sanitizer bottles but a regular bottle from Target or Walmart is a perfect size. Thanks for stopping by today and be sure to pick up Santa Express and get to creating those special gifts......they are sure to be a hit with friends and family! 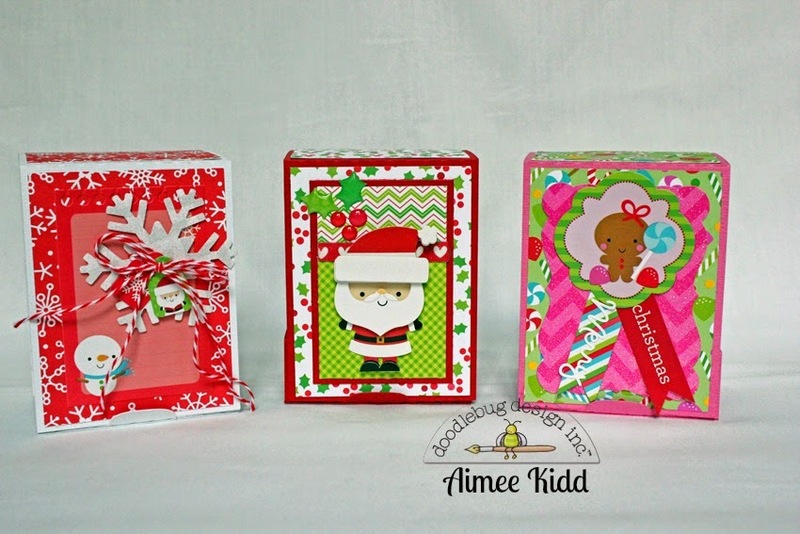 These are adorable Aimee! What a great idea! Totally in love with these! 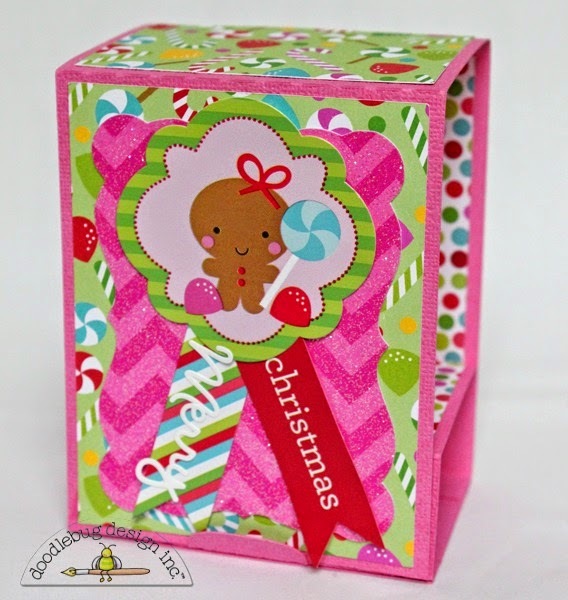 Love the gift idea and all of the embellishments are fabulous! Happy Thanksgiving! 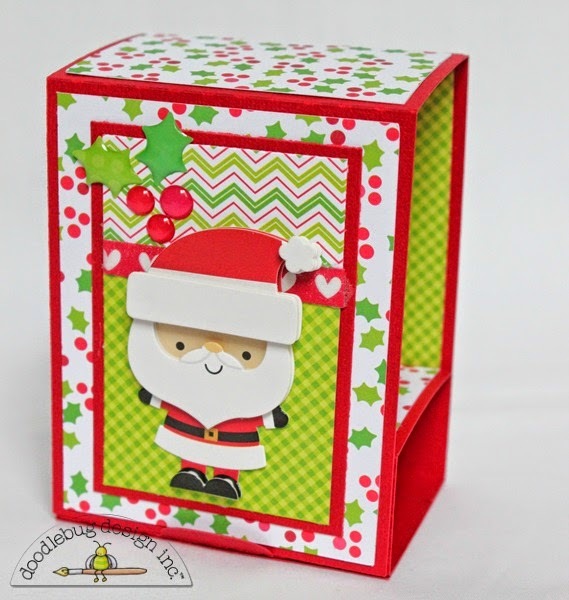 PRETTY & PRACTICAL - FABULOUS gift idea Aimee!!! oh my goodness, SO cute! love the clean design and SO functional! great little gift ideas for teachers! So cute, Aimee! I love your fun, creative ideas!! Oh my Aimee, I love how cute these are. What a super fun and clever idea!! Such a fun gift to give and packaged like this it would be absolutely delightful to receive!! Aimee has really shined with this idea!! !